Solo tour re-scheduled for this week! Thursday, October 19 7:00pm. $10. “Sid has a unique way of telling a story. He is one of the giants of modern blues. He keeps the genre alive and vibrant. He could have gotten anybody to do the job. I’m proud he chose me.” – Fred Wesley (Horn arranger and trombonist for “The Story of Ike Dupree” Jazz, funk & blues legend who worked with James Brown; Parliament; Count Basie; the New JB’s and many other greats. 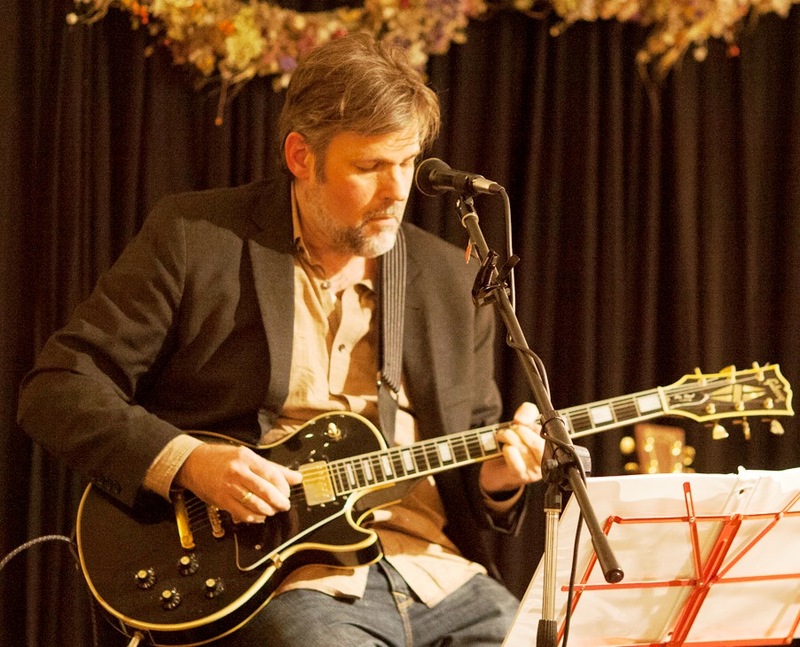 Sid Whelan is a blues-inspired Americana guitarist and songwriter who is becoming known for his well-crafted lyrics and his harmonically-rich guitar voicings. Says the Lonesome Highway Blog (Ireland): “Sid Whelan has an impressive guitar prowess, holding his own against a coterie of accomplished players.” He cut his teeth on rock & roll in the mid ‘80’s and in the ‘90’s was lead guitarist with various world music acts including the Lijadu Sisters and later Afroblue. In 2013 He created the band Whelan, and released the group’s first CD ‘Flood Waters Rising,’ a blues-inspired collection of nine songs, which Blues Matters (UK) called “…a definitive return of a great musician.” Songs from that disc are part of the band’s current live show, as is repertoire from the 13-song 2015 disc ‘The Story of Ike Dupree,’ which features a horn section arranged and led by the great funk pioneer Fred Wesley (James Brown, Parliament, the Count Basie Band, Bootsy Collins, De La Soul), who was part of the legendary horn section with Maceo Parker and Pee Wee Ellis. The Rootstime Blog (Belgium) says of the new disc: “The additional contribution of legendary bandleader and trombonist Fred Wesley and his funky horn section to these songs can be defined as a great and artful achievement.”In the Fall of 2016 Sid took a break from performing to focus on Whelan’s 3rd album, ‘Waitin’ for Payday,’ which is almost completed and due out in Spring of 2017. It features the return of co-producer Lora-Faye (Arthur Moon) and relies mostly on the musicians from the current live band, with a handful of impressive instrumental and vocal guests. This album represents a shift even further into Sid’s concept of the blues as a jumping off point for pushing the envelope as a singer-songwriter and as such will be less traditional and will stretch further stylistically than the first two. ‘The Story of Ike Dupree’ and ‘Flood Waters Rising’ available now atwww.bandcamp.com www.amazon.com http://www.thesidwhelanband.com/as well as CD Baby and i-Tunes.